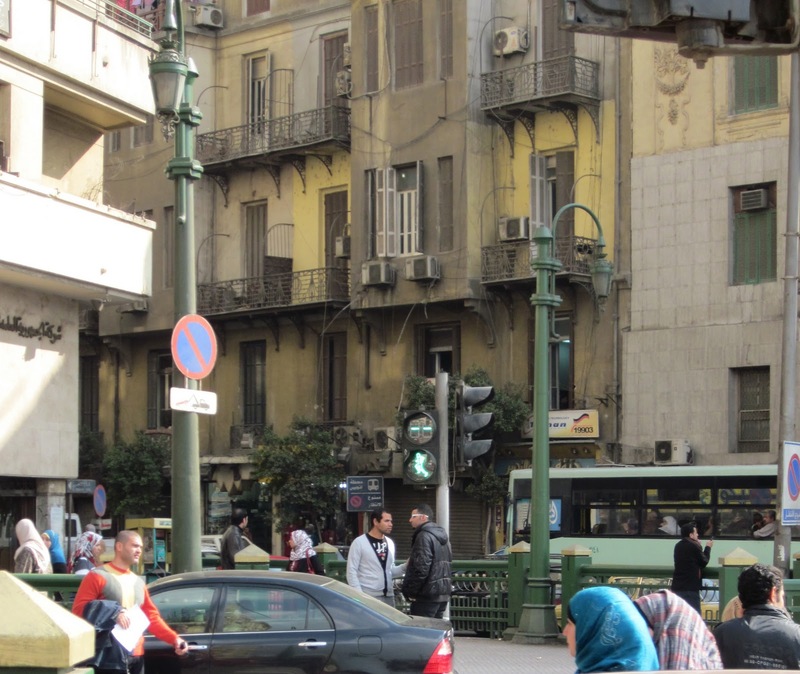 Crossing the streets in Cairo can be harrowing. It's often likened to playing live action Frogger. The streets are crowded and chaotic, and pedestrians just kind of dart in between the cars and hope for the best. The cars stop for you, usually. I've never gotten hit (well, not anything more than a bump) but I have been in cabs on two separate instances that have hit men - as in knocked them down. One guy flew over the hood and fell off the back of the car. The driver stopped for long enough to yell at him before continuing to drive on. Let's see that a little more closely, shall we? That guy is adamantly not walking, he's running! You can't tell from the photo, but the little man is animated on the stoplight so he actually does a convincing running man. This sounds like complete pandemonium. 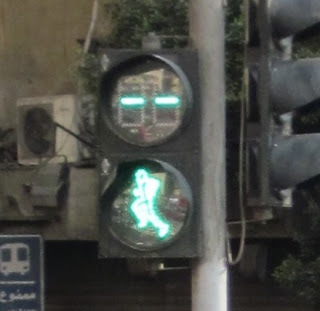 I love that the light is a "running" guy, signifying to all that running is probably the safest bet for minimizing your overall exposure to cars in the street as you cross. Ha! I love the running man light.